The following is the La’akea Community process for accepting new members. 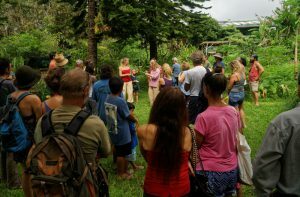 Prospective Members and the Community will get to know each other through the farm supporter program or other activities. A Prospective Member can request to be a Trial Member at any time. 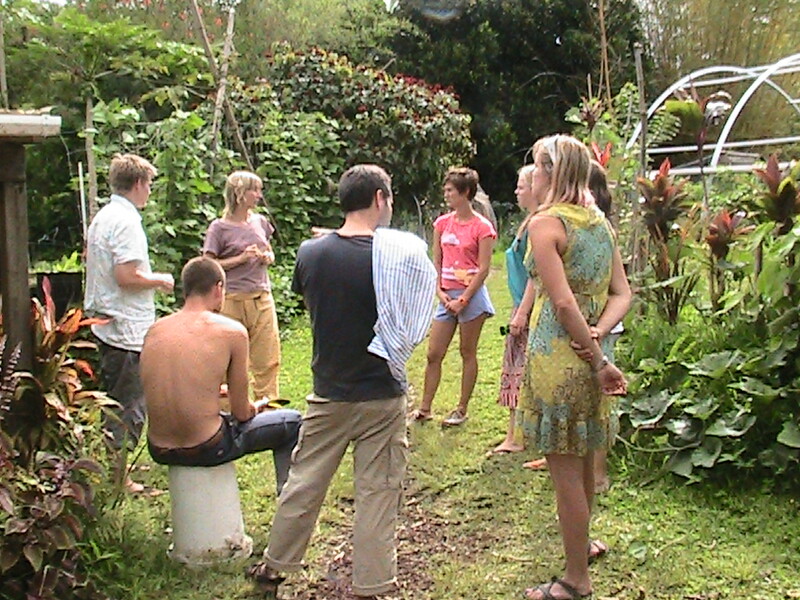 Members of the La’akea Community will decide by consensus if this person is desired as a Trial Member. – May last up to one year. – Is evaluated every four months. – Trial Members will fully participate in meetings, but are unable to block decisions. – Trial Members are expected to participate in the weekly work routine and generally immerse themselves in life at La’akea. – Trial Members and Members will give regular feedback to each other on how they are feeling about living together. Any conflicts that emerge will be addressed. Open and honest communication is sought. – Once a Trial Member asks to be considered for membership the community will make a decision within 6 weeks. – A date on which the Trial Membership will begin. – Fee schedule including rent, food, utilities, and payment dates. – Where the Trial Member will reside. – Who the liaison is. – The date when the Trial Membership will be concluded or extended. – In the first four months it takes consensus minus one to terminate the Trial Membership. (This lends some security to Trial Members and encourages members to resolve conflicts). – Beyond four months, two Members can call for the termination of the Trial Membership, at which point the Trial Membership ends. – La’akea will give thirty days notice to the departing Trial Member. – In extreme cases, such as violence, a Member can petition the community for an exception and ask for immediate eviction. – Amount of “Buy-in” fee and date of payment/s. – A plan as to where the new member will reside and an agreement on any fees. If the new member is purchasing a house, full payment or schedule of payments will be included. – A schedule of current community fees and payment dates. The new member will be added to any and all legal documents which make them full legal members/owners of the La’akea land and La’akea LLC. To terminate membership a signed and dated notification is required.